Young British pro Harry Lodge has scored his biggest ever live cash with third place in the 888poker WSOP Crazy Eights tourney. 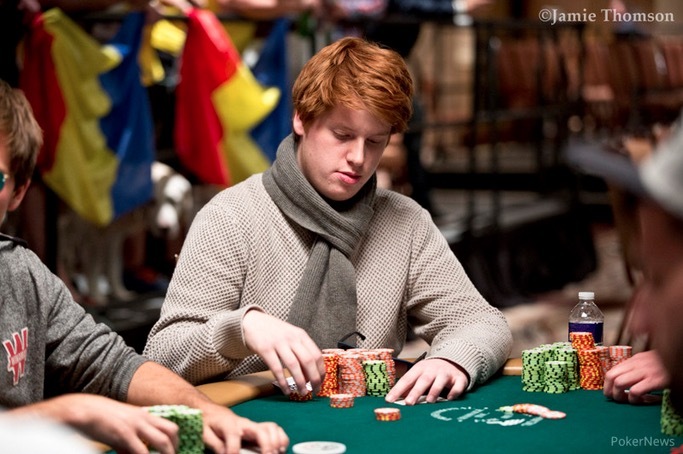 Playing the WSOP Main Event? We’re the Official Travel Partner for official online provider 888poker and have already booked thousands of hotel nights for WSOP players. Let us help you sort out a great hotel room – and don’t forget our awesome Dollar Delivery Service! The Crazy Eights was won by Romania's Alexandru Papazian who beat German pro Kilian Kramer heads-up to take the $888,888 first prize. It was Papazian’s first WSOP bracelet and the victory takes him right to the top of his country’s all-time money list. Good luck to Londoner Elior Sion who has made the final six of the WSOP $50k Players Championship after finishing ninth in the same event last year. Last year’s score netted him $116,571, the biggest cash of his career, but he’s guaranteed an even bigger cash this year. Daniel Negreanu is the current chip leader with Sion in fourth place. There were 100 entries overall creating a $4.8m prize pool. Sion bubbled the event in 2014. Here’s how the final six will be seated when they return to play down to a winner later today. UK veteran Barny Boatman and 888poker Ambassador Chris Moorman are leading the UK/Ireland cashes table so far – with both having headed to the payouts desk seven times. Chris Moorman, the most decorated tournament player in online poker history, won his first World Series of Poker gold bracelet early on in the Series, topping a field of 959 players in the $3k NL 6-Handed tournament for $498,682. Boatman’s biggest cash to date was 16th in the $5k NL for $16,889. So far Brits and Irish players have won more than $5.6m at this year’s Series.